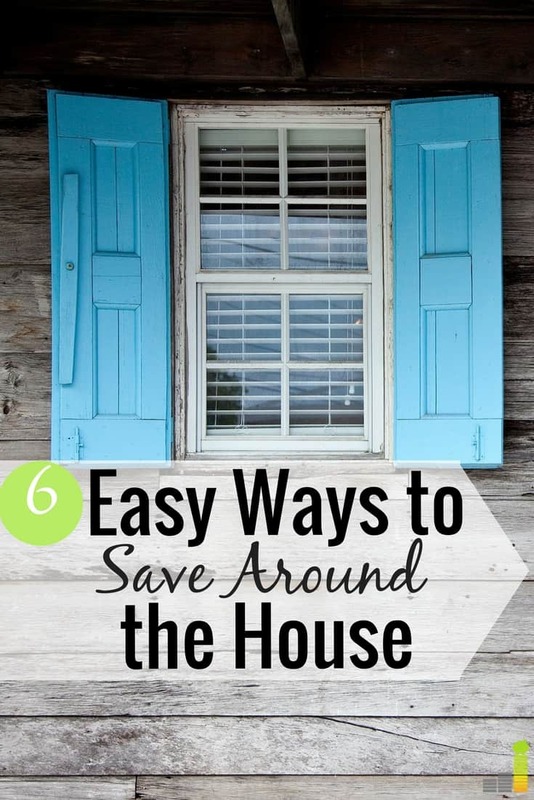 Looking for ways to save money around the house? I’m going to make it easy for you to do exactly that with six simple things you can start doing today to begin racking up savings. 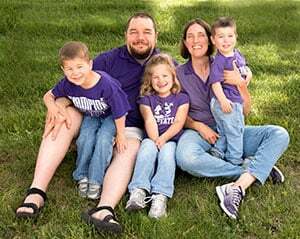 Now, before we jump in to how you are going to start saving money around your home, let’s think for just a moment on why you are thinking about doing this in the first place. Money tends to go fast when you don’t actively attempt to save it. Saving money can be a challenge when you are under the impression that you don’t have much room in your budget to save. 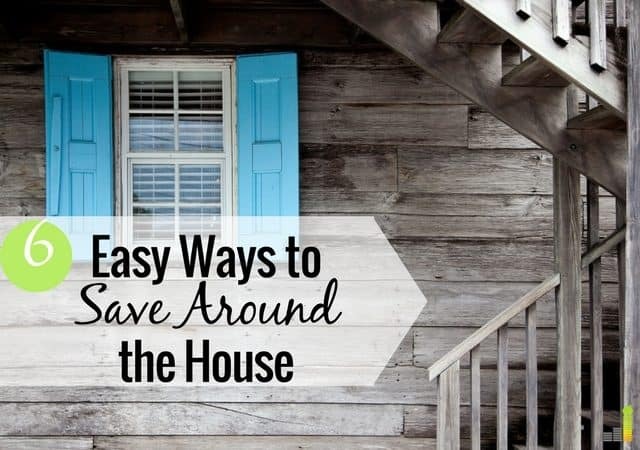 However, saving money can start right at home – literally. Without further ado, here are six practical and sustainable things you can do to save money around the house long-term that don’t involve reusing Ziploc bags and stealing salt and pepper packets from fast food restaurants. Hate throwing out food and wasting your money on takeout? Checking your fridge weekly or even more often than is a great way to take an inventory of what you have and save money around the house. There have been plenty of days when I ran out and bought something because I didn’t know we had it in the fridge or ordered food when there had been leftovers in the fridge or freezer. What’s worse, I caught myself throwing food out of my fridge whenever I went grocery shopping to make room for the new things. Sometimes, the food had gone bad and I scolded myself for forgetting to use it when it was fresh. Throwing food out that you paid for wastes money each time you do it. Taking inventory of what you have in your kitchen is one of the best ways to save money each month. That’s far better than simply throwing money in the trash. If you struggle with throwing away food, check out $5 Meal Plan to help cut down on costs. $5 Meal Plan offers a free 14-day trial and they provide meal plans, along with the ingredients needed to prepare the meals. Not only can this save you time at the store, but it also saves money. Recycling is a good habit to get into because it helps the environment, but it can also help you save money around the house as well. When you recycle paper, plastic, aluminum, etc., you lower your garbage removal expenses. Also, if you’re trying to dispose of larger items or electronics that no longer work, check to see if your community offers a free recycle day for those items so you won’t be charged to get rid of them. If the items do work, and you no longer want them, selling them is a great way to make extra money on what you consider trash. Freecycle is a network of groups that post items they wish to get rid of or recycle. The groups are local so other members in the group who live in the vicinity may find some use for it and be willing to take it off your hands. This is something I’ve always wanted to do and recently tried out. All-natural, all-purpose cleaners can be expensive but you can make your own cleaners and laundry detergent easily and for less money. Vinegar is great at removing odor and soap or hard-water buildup on chrome fixtures. Baking soda is also good for cleaning and deodorizing around the house. Slash one of your monthly household bills by cutting cable and watching TV for free. I love not having cable costs be a part of my budget and don’t miss flipping through the TV guide and complaining about nothing being on one bit. While there are affordable television streaming services like Hulu with Live TV and Sling TV, you can also avoid paying for TV altogether and purchase a digital TV antenna so you can receive basic channels. 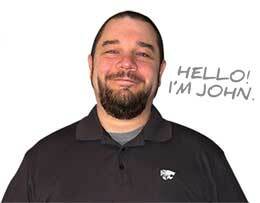 John uses the Mohu Leaf, which is a good option to receive local channels. Here’s a list of the best digital antennas from Amazon if you choose to go this route. You can also watch free shows on YouTube and stream shows from certain networks for free online. Channels like Food Network, HGTV, A&E, the History Channel and Lifetime all have unlocked shows (don’t require a cable subscription) that you can stream on their website for free. If you must have cable, you can use Trim to negotiate your bill. Trim can not only cancel unused subscriptions, but they also negotiate bills so you can lower your monthly cost. Not bad for a free app! Improving your home can get costly quick. In some cases, it’s necessary to make certain repairs and perform routine maintenance. Plus, it can improve the value of your home. To save money on home improvement costs, consider using Swagbucks to earn gift cards to stores like Home Depot and Lowes. Swagbucks is a loyalty rewards program that allows users to earn points for shopping online and performing certain tasks like watching videos, searching online, taking surveys and more. You can cash in the points you earn for gift cards to major retailers or cash via PayPal. Swagbucks gift cards range anywhere from $5 to $250. Reducing your energy usage is another great way to save money around the house. Focus on making a variety of small changes to conserve your energy usage. In the winter, use a programmable thermostat, seal door drafts, install energy efficient windows and use a space heater and blankets to warm up and save on heating costs. During warmer months, turn off lights during the day and allow natural light to come into your home, use your ceiling fans, dry your laundry outside, and turn your water heater temperature down. All year round, use a power strip to plug in electronics that are all close by; then, turn the power strip off at night. Consider installing timed light switches that turn off all by themselves (this may be a good idea for kids who often forget to turn off lights); use rechargeable batteries; and buy fluorescent bulbs, which can reduce your light energy use by up to 75 percent. Saving money around the house isn’t as hard as you’d think it would be especially if you were under the impression that you couldn’t save more money. These tips may not help you save thousands per year (or they might if you have a seriously high cable bill that you choose to get rid of), but a penny saved is a penny earned. What are your favorite ways to save money around the house? What’s the most extreme thing you’ve done to save money at home? How much food do you throw out each week? I think the thermostat is a big one. We don’t have a programmable one but I haven’t seen the need for it. We adjust our thermostat at night and when we are away from the house. It’s in a convenient location so it’s really easy to do and now that we are in the habit of it we hardly even have to think about it. We don’t have one either but still do the same thing. I’d recommend people set daily reminders on their phone as well to remind them to adjust the thermostat if it helps. I hate how the heating bill can get so high during the winter if we don’t keep an eye on the thermostat. I’m sure there is and you’re right, it’s probably high unfortunately. The best thing to do is be aware of what you’re buying and check your fridge weekly to make sure you’re not letting anything spoil. I am just wondering for you, John, and anyone else out there, how do you lower garbage expenses simply by recycling? My trash hauler doesn’t care how much you put in the can. It just charges a certain amount every 3 months. The only thing I can think of is that you use fewer trash bags, but I don’t think that makes for significant savings.